Meditation is good! It calms the mind and acts preventively against stress. It facilitates clear thinking and helps to stay calm in everyday life, to be able to react more moderately and thoughtfully. In my meditations, I often address issues such as mindfulness, (self-) love, self-esteem, and focus. So during meditation we deal with our body and the clarification of our conscious and unconscious thoughts and sometimes our beliefs. Regular meditation trains the attention, serenity and concentration. It just makes you happier. And it does not take years of practice, but rather only a little continuity. I think one of the biggest challenges is to integrate a new routine into everyday life and to find time for it regularly. My tip at this point: start with three minutes daily. The increase comes on its own. Three minutes of concentrated inhaling and exhaling daily is a good start. But what causes meditation purely physically? It has been proven that certain brain areas change visibly through meditation. So that we become more resistant to stress and develop the areas in the brain that provide a stronger stress filter. When you meditate, you are much more careful in everyday life. You can control your feelings better and it takes longer for you to slip into emotional stress. Because your mind has less distraction during the day and in the evening, it can be much easier for you to fall asleep. The quality of your sleep improves. People with a lot of stress are often more susceptible to illness. Also, her immune system is often more unstable. An optimistic attitude towards life, which can cause regular meditation, activates the left brain, which is responsible for a strengthened immune system. Therefore, meditation is also often used as an adjunctive measure in chemotherapy of cancer patients. Regular meditation has been shown to lower blood pressure by up to 12 percent. 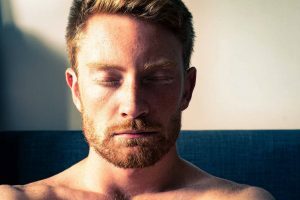 The explanation for this is that, due to the relaxation effect during meditation, the constricted blood vessels widen again and less cortisol, i. Stress hormones are released. The Nervus Vagus can be stimulated and activated by meditation. Likewise, pain areas of the brain are shut down during meditation. And by up to 40 percent! The trigger for migraine attacks is often stress. Stress prevention and relaxation can therefore be a therapeutic approach to prevent attacks. Here, meditation can be helpful. A fatty diet and also stress are often reasons for an elevated cholesterol level. One study has shown that after one year of meditation, the cholesterol level may drop by 30 mg / dl. A combination of regular meditation and a healthy lifestyle can reduce cardiovascular disease and arteriosclerosis. Not only by changing your brain structures does your perception of stress relax, but it also releases less cortisol, i. Stress hormones, out. In short, meditation is good! If you also want to use the benefits of meditation for you, then try out the meditations in the Changers app. You will find two 5-minute and 15-minute guided meditations in the attention area (click on the globe on the home screen). And if you like the meditations, talk to me. I would be happy to put together more meditations for your company or we would like to arrange a workshop that I run. I am Annekatrin from anneable.de. You can best reach me via kontakt@anneable.de or just talk to your contact person at Changers. PreviousRunning, cycling, planting trees – now for everyone!